Imahen Taotao Tano continues the mission to preserve and perpetuate the Chamorro culture through various community services and events. Imahen Taotao Tano is a home for learning the Chamorro culture. Members gain legitimate training in their singing, chanting, dancing and weaving skills, knowledge of their history, language, familiarity with values of inafamaolek, a sense of reciprocity and respect, so as to continue the legacy of our indigenous people of the land. By exhibiting a glimpse of their rich history and vibrant culture through songs, dance, and chants, you will awaken to a time period of their creation and existence. 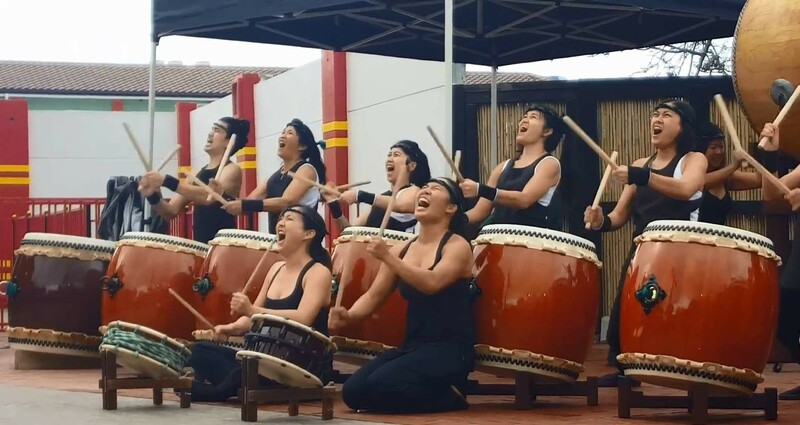 Naruwan Taiko was founded in 2008 and performs the art of Japanese drumming. The group's name is derived from the Taiwanese Ami tribe and means "welcome" or "home". This embodies the group's mission to bring people from all backgrounds together to produce a strong and united sound. The group is most well-known for encouraging students and members to discover that extra energy inside, thus resulting in a powerful presence both on and off the stage. 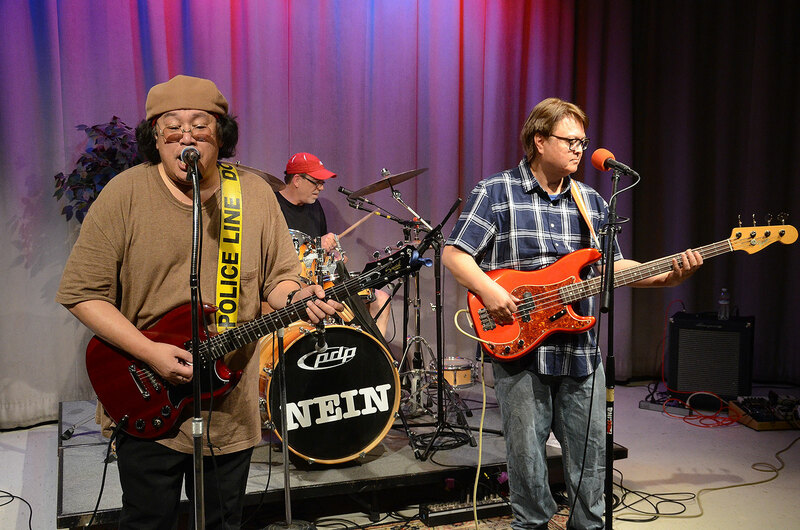 NEIN is a long-standing local San Diego treasure. Formed in 1984, the band has survived throughout the decades, creating compelling original music. A blend of hard rock and power-pop, the three-piece band puts out a full sound with outstanding harmony vocals. Celebrating over 75 years of Dance Education in San Diego. Founded in 1942, San Diego Civic Dance Arts has introduced hundreds of thousands of citizens to the art form of dance and has been lauded as the standard by which other city-wide dance programs nationwide measure themselves. As part of the City's Parks and Recreation Department, San Diego Civic Dance Arts provides affordable dance training at 22 Recreation Centers throughout San Diego County as well as in several dance facilities in Balboa Park. 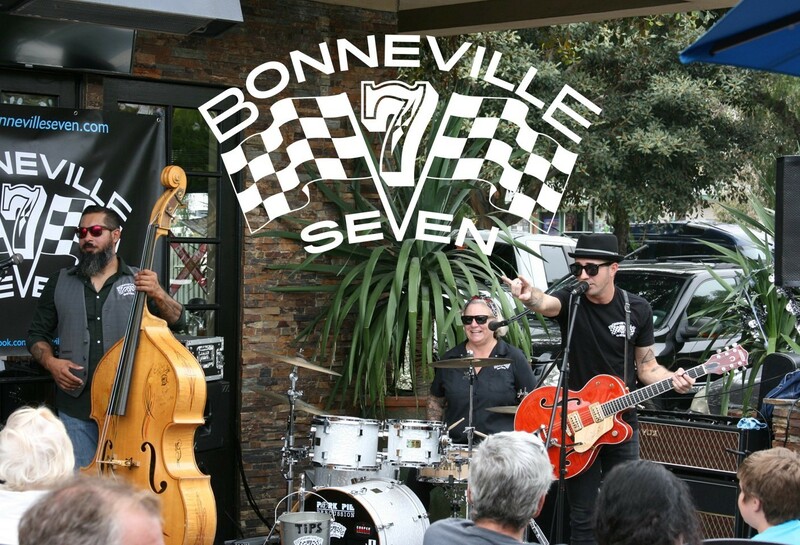 Bonneville 7 is a high energy San Diego based band. They are a trio with a big sound playing Aternabilly music. Starting off with that sound is Bryan Kelly of the Hard Fall Harts. He is endorsed by Gretsch Guitars. Bryan has played all over the world with his blazin Gretsch guitar and vocals. Eddie Montoya slappin that upright bass and throwin it around like no other. He is certainly the showman. Becky Russell keeps everything together with a solid groove. Beck is endorsed by Pork Pie Percussion, T-cymbals, Cooper Groove Performance Drumsticks. This is a must see band who plays music from Johnny Cash to the Clash. Find out more about XEWT Channel 12 at our booth right next to the amusement rides. T.R.U.T.H. 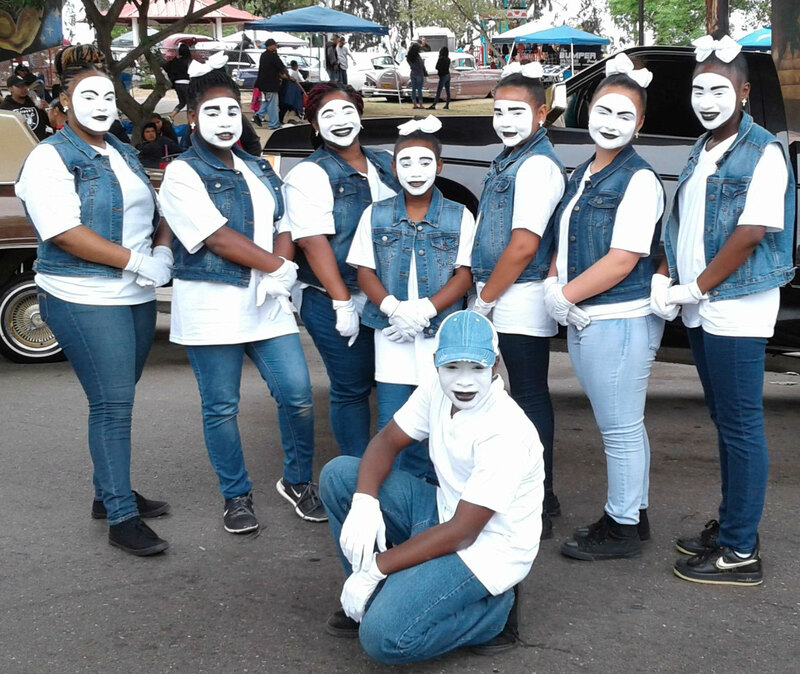 (To Reach Up To Heaven) Gospel Mime Group is a nationally known liturgical youth dance group from ages 11 through 16 in operation for four years. Their creative dance moves and theatrical facial expressions with the help of facial paint, gives their audience a live "soul touching" experience and vivid detail of the story being told through music. The dance group is the recipient of a proclamation by Councilmember Myrtle Cole on behalf of the City of San Diego which declares February 9, 2016 to be T.R.U.T.H. (To Reach Up To Heaven) Gospel Mime Group Day. 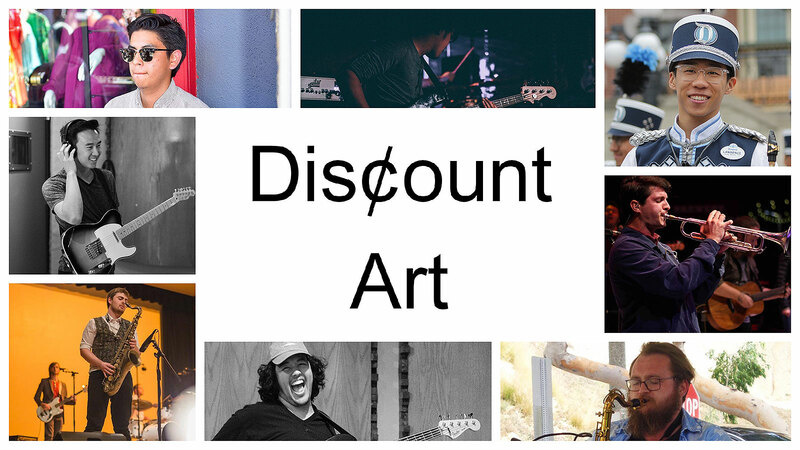 Discount Art is a Long Beach based pop/soul band that seamlessly blends articulate lyricism with James Brown-esque fun and funk. 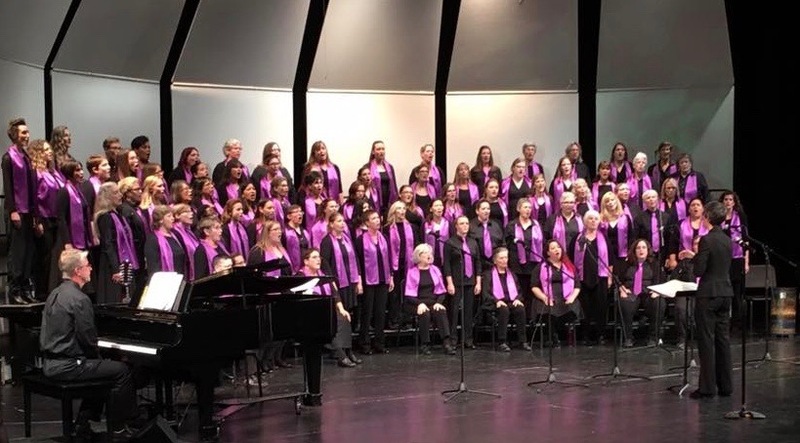 The San Diego Women's Chorus is a lesbian-identified feminist sisterhood of musicians that welcomes singing members and volunteers from the vastly diverse LGBTQIA+ and straight-ally communities. Founded in 1987, SDWC has grown from a group of 14 women gathered around a piano in a private home to a thriving community with over 150 members. For over 31 years, SDWC has provided a safe space that encourages women's creativity, celebrates diversity, and inspires social. The San Diego Cajun Playboys have been bringing real Cajun French music from South Louisiana to Southern California for the past 22 years. With accordion, fiddle and vocals in Cajun French . . . ten or nine out of ten Cajuns prefer the San Diego Cajun Playboys to other brands. 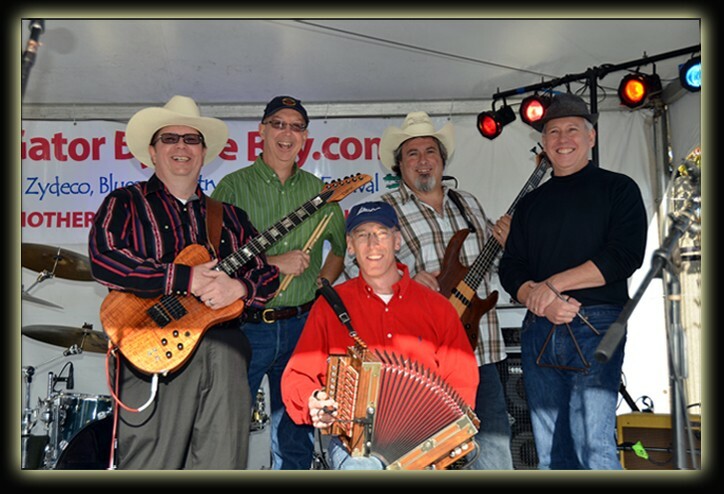 So much so, that the Playboys won the prestigious Le Cajun Award for the "best Cajun band outside of Louisiana" from the Cajun French Music Association of Lafayette, Louisiana. Not bad for your hometown Cajun garage band, eh? 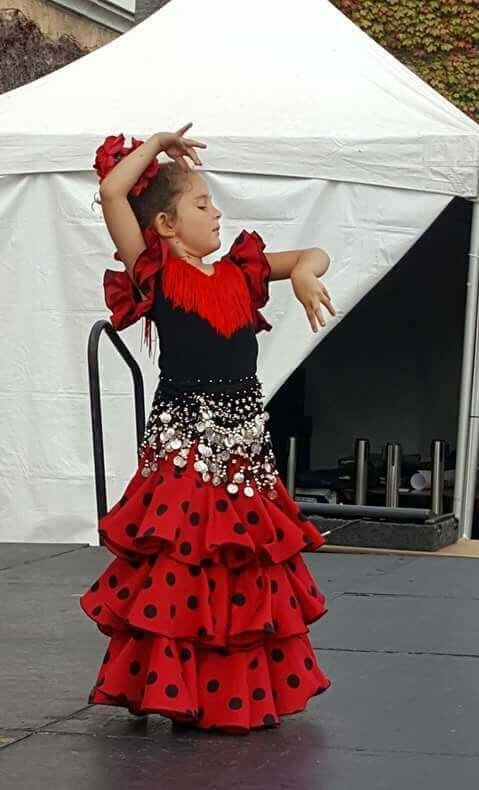 Flamenco With Roots Performing Arts has been deeply rooted in the community, bringing the cultural arts to all children and young people in schools and many other community facilities. San Diego Harmony Ringers have entranced listeners with energy, precision and musicality since the group was founded in 1999. This auditioned handbell ensemble of twelve ringers is based in the greater San Diego area, and performs on five octaves of Schulmerich Handbells and five octaves of Malmark Choirchimes, including the distinctive bass Choirchimes. They join together in harmony to ring with passion, beauty of expression, and a joy in sharing music with those who listen. Peninsula Singers is a Point Loma Community Choir of over 100 members that has been in existence for 15 years. Singers range from young adults to octogenarians and professional singers sing along side hobbyists. The group rehearses every Monday at the Point Loma Library. The choir not only sings in venues around San Diego but has performed in Europe, Carnegie Hall, and this past summer completed a 10 singing tour of Ireland. This season, Peninsula Singers is performing a program entitled "An American Holiday" featuring seasonal music by American Composers. Join returning artist Brendan Prout and friends as they perform modern rock versions of traditional Christmas tunes for an upbeat holiday sing-along! 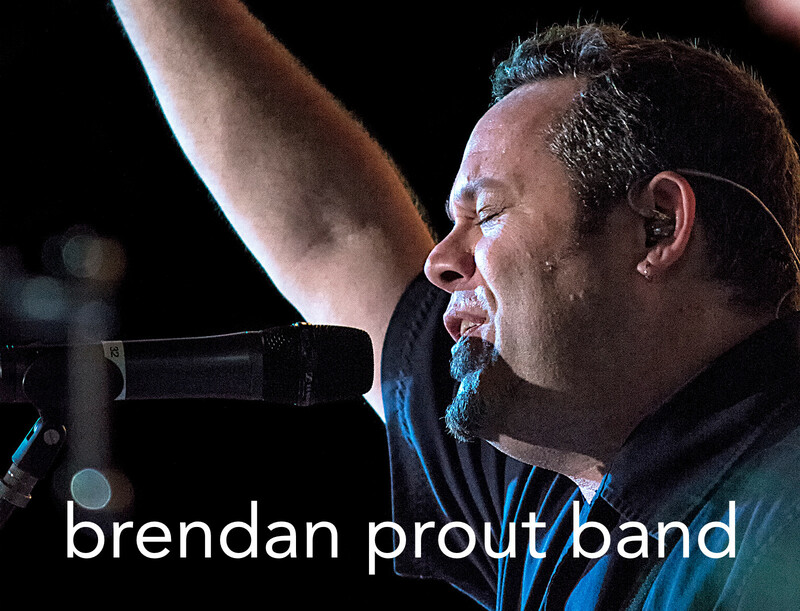 Brendan is a San Diego local singer/songwriter & worship pastor at Quest Church, with a sound influenced by The Cure, U2, Beastie Boys, Lincoln Brewster, and everything 80s. He can be found on iTunes, Spotify, Instagram, Facebook, Twitter, and places good coffee is served. The Bethel Baptist Children's Choir consists of children ranging in age from kindergarten through seventh grade. 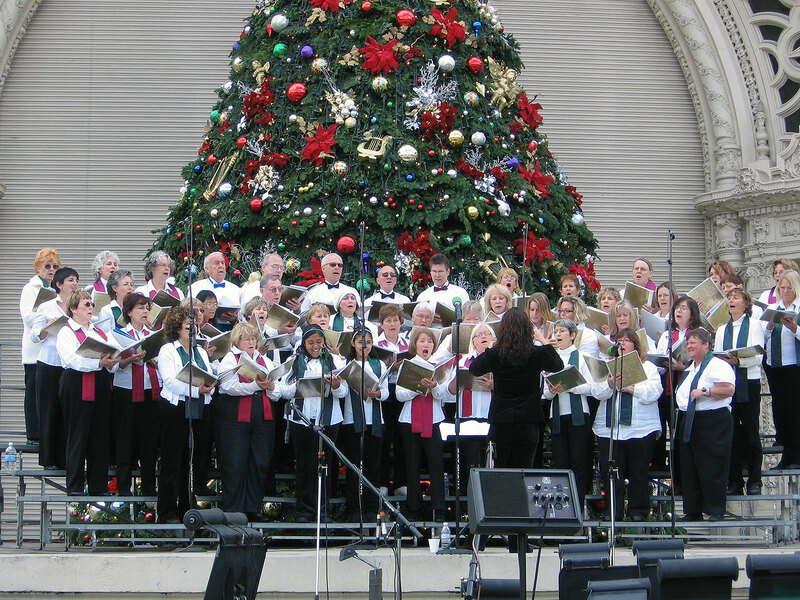 The Choir has been performing in Balboa Park's December Nights for close to 30 years. They love to sing the songs of the Season and are always well received by the crowd.